Let your God-given creativity speak volumes. Our online and partially on-campus Master of Divinity – Worship & Media degree equips you to cultivate a Spirit-led worship experience by combining music, media and creative storytelling. You'll develop creative approaches to worship and learn how to access the tools and technology you need to support authentic worship. Explore Internet, social media and mobile media marketing theories, strategies and tools to help you expand the reach of your worship experience. Integrate solid biblical theology in contemporary worship. Prepare for ordination or ministry licensure. 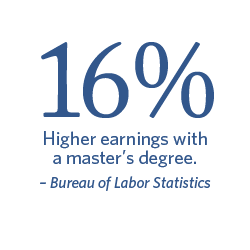 Pursue a D.Min., Ph.D. or other post-graduate degree. Application of digital tools and technology to ministry including website development, blogging, social networks, audio/video streaming and email newsletters. Develops skills to effectively integrate digital online media content for ministry settings such as pastoral ministry, worship, evangelism, missions, marketplace ministry and others. The worship leader as a catalyst for spiritual development and effectiveness in ministry. Focuses on effective leadership, corporate worship expression and experience, and missional application in ministry settings. Nature, forms and functions of worship in Scripture and their contemporary relevance. Emphasizes the expression of worship in ministry as a fundamental source for personal and congregational transformation. Worship and liturgical forms based on Scripture, testimony, and spontaneous expressions through the Holy Spirit. Explores songwriting for the church and creative expression in worship arts and their implementation in the church. Creative forms of worship that provide opportunities to encounter God. Includes liturgical development, current trends, and worship curating. Emphasis is on practical implementation of transformational worship in ministry settings. Worship team management including planning, platform, and personal communication skills. The use of digital aids in worship planning and overview of interface between worship and sound, lighting and visual arts.